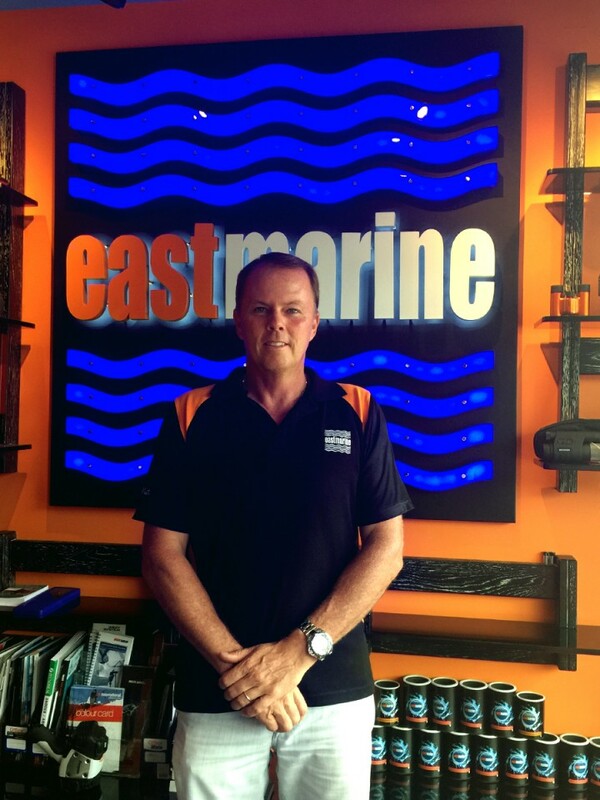 Scott Bradley of East Marine Asia is a man with a vision. 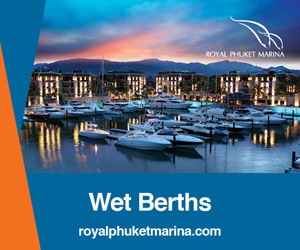 He has a veritable arsenal of spectacular ideas to ensure that his vision continues to push his companies to the forefront of the yachting industry, not only in Phuket but also throughout Southeast Asia. The recent opening of an East Marine Asia branch at Ao Po Grand Marina proves that Scott’s vision is heading in the right direction. Scott has spent his entire life around boats. At the tender age of four, while living on a boat with his father, Scott learned how to sail his first dinghy. By the age of six, he was helping to build boats and in 1988 Scott became a qualified shipwright. 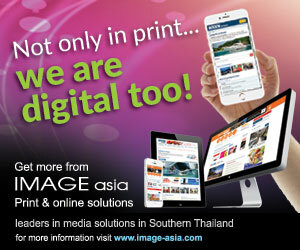 Scott first came to Phuket 25 years ago when by chance he met Kanit Yongsakul, the owner of the Boat Lagoon. In those days, the Boat Lagoon was more of a private marina but Scott knew it had the potential to become much more. Khun Kanit approached him and asked just what he wanted to do. The answer was simple: "Build a factory." So Khun Kanit helped Scott build the factory and in 1997, he opened his own yacht repair facility there. As a long-term expat on Phuket, Scott has seen the island change a lot over the years. He reflects on the sheer number of people that live here now, and how the influx of tourists has continued to help the island grow. Scott fondly remembers a Phuket that most of us have never experienced, "All of those years ago, the roads were so different. They were mostly dirt, and we actually rode dirt bikes to get around." Although Scott realises that Phuket is going through a bit of a slow time, he commends the changes being made to the infrastructure of the island, including how well the new airport is coming along. "It's easy to complain about how the traffic has been lately, but people need to get over that." He believes that all of the changes that the island’s going through will benefit his businesses and continue to help them grow. With the new Ao Po Grand Marina branch, Scott’s vision for his company is simple: to encompass everything that’s to do with water. Rebranding with the new motto ‘Life on Water’, Scott hopes more people in Phuket will start to embrace the yachting and water sports lifestyle. Scott is a savvy business man, and he credits the success of his companies to a number of factors: "We've got a pretty good reputation for boatbuilding, a reputation that’s spread by word of mouth and indeed in the beginning, we had lots of work from Hong Kong, based on personal recommendation." He also has a good team behind him, most of whom have been with him for longer than eight years. His staff members help him to maintain the goal of concentrating on high-quality products and service for their clients. "The main factor behind our growth is that we've always looked at really high-end products for East Marine." A devoted family man, Scott is married and has two young children. He says his wife is an excellent cook, and enjoys Thai food with massaman curry his favourite. He's doing his best to eat healthily these days and to take care of himself, having worked with a lot of toxins in his life, and has turned to a healthier diet in order to 'keep clean'. Scott says that sometimes staying on track can be hard, especially because his wife is "putting stuff on the table that makes you not want to go out and eat." Although free time can be rare for Scott, when he does have it, he enjoys relaxing with his wife and children at home. It may have taken 25 years, but in December Scott saw one of his dreams come true as he participated in the 2015 Phuket King's Cup Regatta on his very own racing yacht which he hopes will continue to be a competitive in the future. Scott wants to push young Thai people to get them to enjoy sailing and hopes that one day the Royal Thai Navy will support sailing in Phuket as much as they do on the Eastern Seaboard. 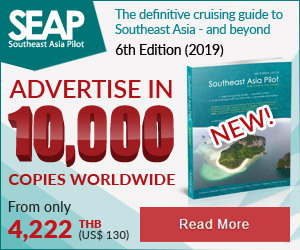 He feels that in order for the sailing lifestyle to gain more momentum in Phuket, Thai nationals need to get involved, whether as crew members or just by being adventurous and going out on a boat. "For Thais, the sailing lifestyle in Phuket could really evolve, and it could also turn into something to give back to the community," he muses. "Supporting and doing things for the local community is important." The best advice that Scott offers to those interested in yachting and sailing is to simply get out on a boat and give it a try. "The best boat is always someone else's," Scott smiles.